Botox in Orlando is a safe, simple, and effective way to rejuvenate your skin. As we age, we grow wiser, and for most of us, that wisdom means we’re better at recognizing the brilliance of life, at appreciating the little things that make us smile from the inside out. But sometimes, even when we’re smiling on the inside, the rest of the world sees tired eyes and the hint of a frown. Botox can help those shining eyes smile again. We’ve talked about the benefits of Botox on these pages: the myths, the alternative, and even the psychology of how it can affect your relationships. Of course, first and foremost among those considerations is safety. Botox (and Xeomin) are highly regulated by the FDA and, as we’ve noted before, have been administered 20 million times without a single case of long-term side effects. But that doesn’t mean that just anyone should administer Botox. A tool is only as safe as the skill of the hands that wields it. 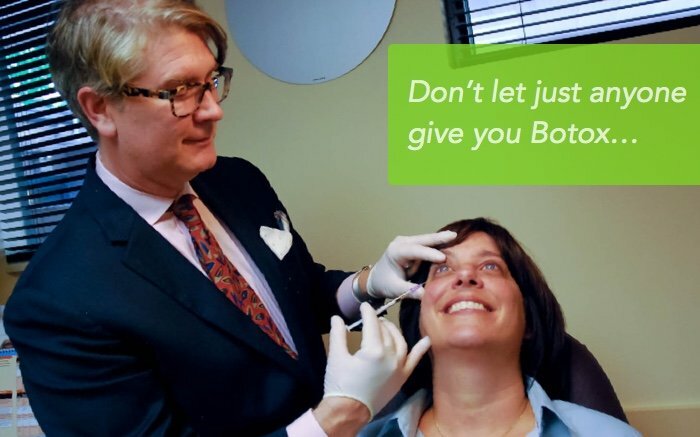 Dr. Brian Haas was one of the first to perform Botox and has been doing so since the 1980’s. In most states, only a doctor can administer Botox injections since it’s (rightly) considered a medical procedure. In Florida, Medical Assistants can administer Botox, and many practices take full advantage of that law. At Boutique Eye Orlando, we recognize that just because we can do something doesn’t mean we should. Here, only Dr. Haas administers Botox because only Dr. Haas has the impeccable qualifications that Orlando has come to trust with their eye health. Experience is more than the pieces of paper required to practice medicine. Experience means steady hands. It means recognizing potential complications and acting accordingly. It means listening to patients, knowing that each is not just a case to be treated, but a person with desires and needs and questions. Don’t trust your shining smile to just anyone. For a truly experienced hand, visit us at Boutique Eye Orlando. Your smile will thank you.